The real villain of The Last Jedi isn’t Kylo Ren, Supreme Leader Snoke, or even General Hux. It’s Poe Dameron. *** Yes, that Poe Dameron. The greatest pilot in the Resistance. The guy with killer taste in jackets. Finn's one true love. Call him what you want, but we call Poe Dameron villain, as he has the most blood on his hands of practically anyone in The Last Jedi (the events of The Force Awakens notwithstanding). Go ahead and get your loud booing out of the way now, but if you search your feelings, you’ll know what I say to be true. Editor's Note: this post and video contain massive spoilers for Star Wars: The Last Jedi. Proceed at your own peril. 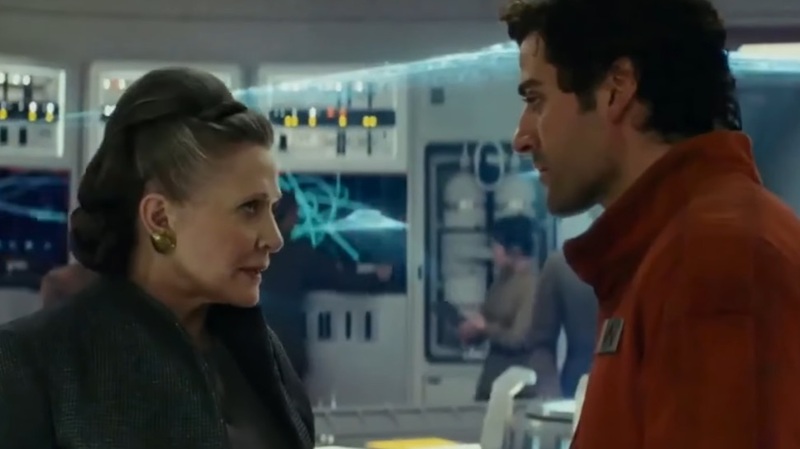 The failure to hold Poe Dameron accountable for his actions and the toxic masculinity of said actions in The Last Jedi has been written about at length, but I would take things a step further and posit that in spite of Poe's good intentions, his actions in The Last Jedi were selfish, treasonous, and genuinely villainous. From word one in The Last Jedi, Poe’s impulsive decision-making and Starkiller Base-sized ego gets his friends and allies killed, starting with the destruction of the Resistance’s entire bombing fleet. When he gets reprimanded and demoted by Leia for costing the Resistance countless lives and ships, does he take time to reflect on his actions? Absolutely not. Instead, he undermines the chain of command and authorizes a secret mission for Finn and Rose to sneak aboard the First Order’s flagship, which goes about as well as making yet another Death Star. If Poe had never authorized the mission, the First Order never would have learned about the Resistance transport ships making a beeline for Crait, so all their blood is on his handsome hands too. Now you might be saying, but what about Vice Admiral Holdo launching the Raddus as a hyperspace bullet? She killed hundreds of First Order soldiers AND herself! Guess what? It’s Poe’s fault too. Our favorite chopstick-and-Cheeto-eating pilot forced the Vice Admiral’s hand, and is essentially responsible for the massive loss of life incurred on both sides in that conflict. And what is his comeuppance? Nothing, really. Poe learns a valuable lesson that sometimes you have to look at the bigger picture, that discretion is the better part of valor, and that you should trust that Laura Dern ALWAYS knows exactly what she’s doing. Now that Poe’s the new de facto leader of the Resistance, here’s hoping that he’ll find a way to redeem himself in Episode IX. Because as it stands right now, Poe Dameron’s hands are stained redder than a Praetorian Guard making snow angels on the plains of Crait. But what do you think? Do you agree that Poe is the true villain here, or is he just a nice guy who meant well? Let us know in the comments below. *** Editor's Note: It should go without saying that Poe Dameron is, at his core, a heroic character who fights for the forces of good against a monolithically evil fascist army run by genocidal maniacs like Snoke, Hux, and Kylo Ren. This article and video are not in any way intended to be a takedown of one of the only Latino heroes in the galaxy far, far away, but rather an examination of Poe's narrative arc in The Last Jedi. The First Order--and the tide of rising fascism and white supremacy in the world around us for which they are analogous--are unequivocally more despicable, reprehensible, and evil.